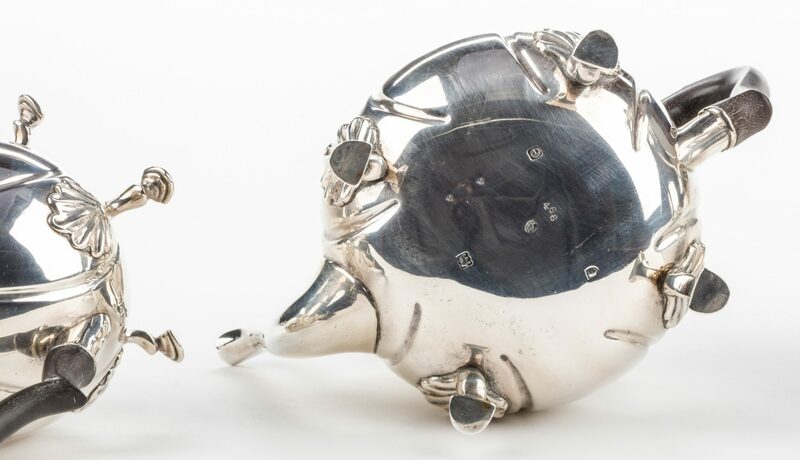 Lot 297: 6 pc. 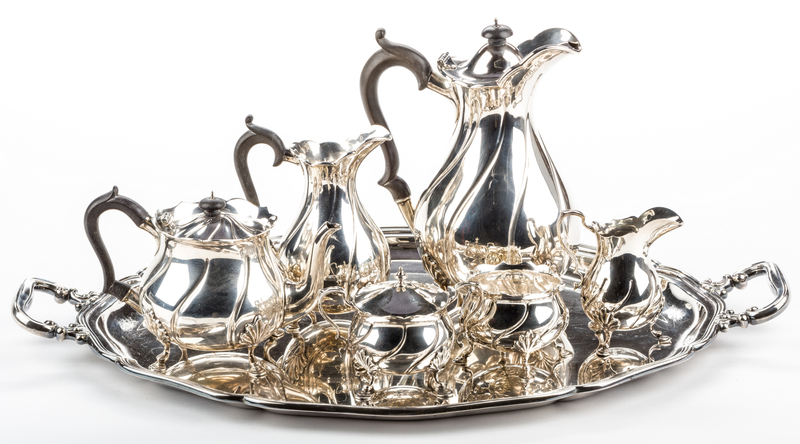 English Sterling Tea Set, plus more, 11 total pcs. You are here: Home >> August 5, 2017 Historic Summer Auction >> Lot 297: 6 pc. 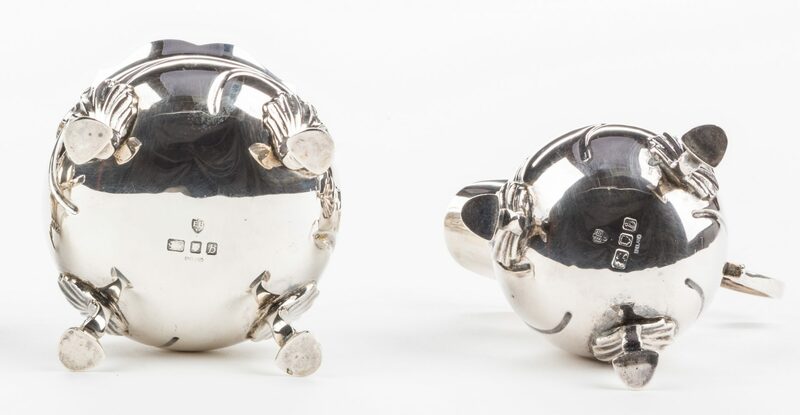 English Sterling Tea Set, plus more, 11 total pcs. 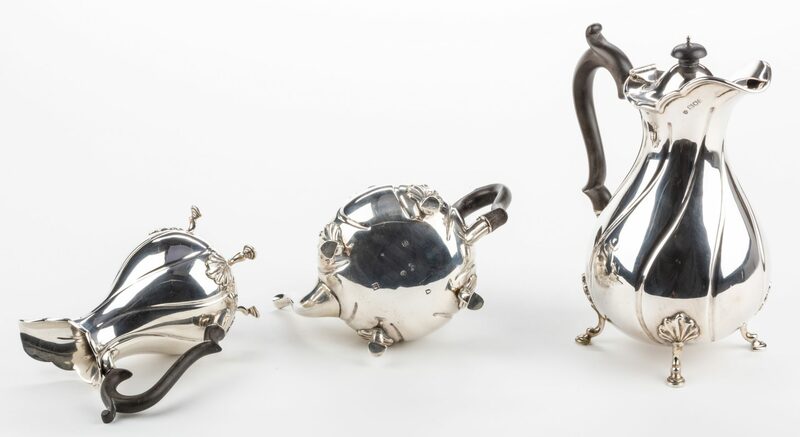 English 20th century sterling silver tea service in the Chippendale style, including tea and coffee pots and milk pitcher with wood handles and finials, covered sugar, creamer and waste bowl; hallmarks for Edward Barnard & Sons, Ltd., London, England, 1898, 1900, 1910 and 1957 (creamer, sugar, waste bowl). Creamer, sugar and waste bowl also marked "England". 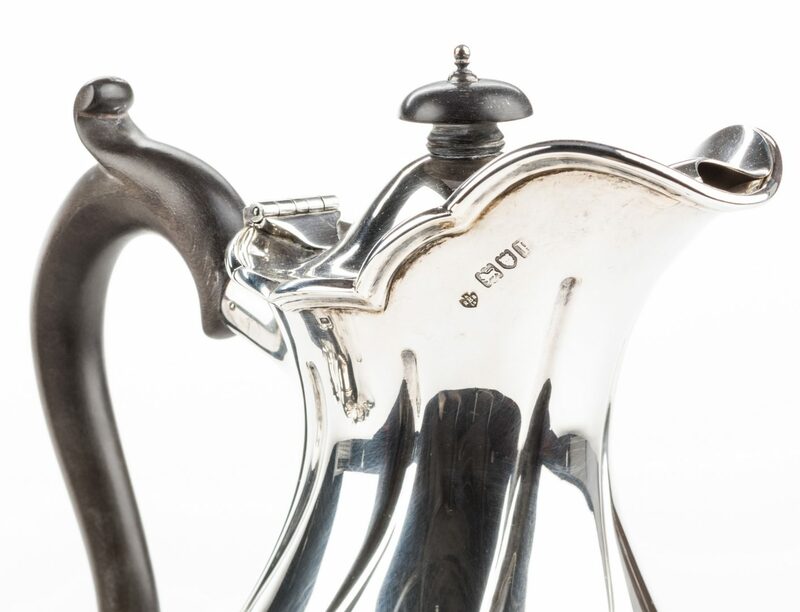 Coffee pot: 10 1/4" H. Group also includes pair Ellmore Silver Co. sterling silver salts with similar pad feet as tea service, marked "Sterling 703", 5" H, and International Silver Co. gray boat and underplate, marked "Sterling G38". 99.63 total oz troy including finials and handles. Includes an oval silverplated waiter's tray, 26 1/2" with handles x 17" W. 11 items total. CONDITION: One thumbprint dent on milk jug. One thumbprint dent and few fleabites on coffeepot. Otherwise all items in very good condition. No monograms.